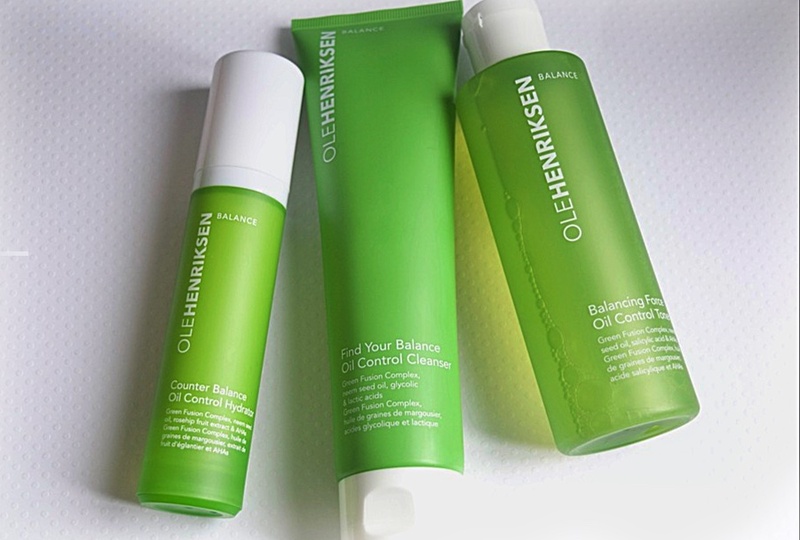 Hi, lovelies, Excited to write this review about the new Ole Henriksen "Balance" oil control skincare line. This skincare line consists of three products powered by Green Fusion Complex, Neem Seed Oil, and AHA's. I have oily/acne prone skin, and I am excited that my skin is looking and feeling better than when I was in my teenage years and my 20's. In my early 30's, I notice I don't breakout unless it's that time of the month (who's with me)💁, and even with that, I get one or two bumps which I spot treat. My main skin treatment as at now is getting rid of my acne scars from years of having acne. My skincare routine for getting rid of my acne scars is exfoliating and using my brightening skin moisturizer. Now and then I will try new products geared towards oily skin, and for the past two weeks I have been using the Ole Henriksen "Balance." Oil Control Products. The 3-step 'Balance' Oil Control Products is powered by Green Fusion Complex, Neem Seed Oil and AHA's. 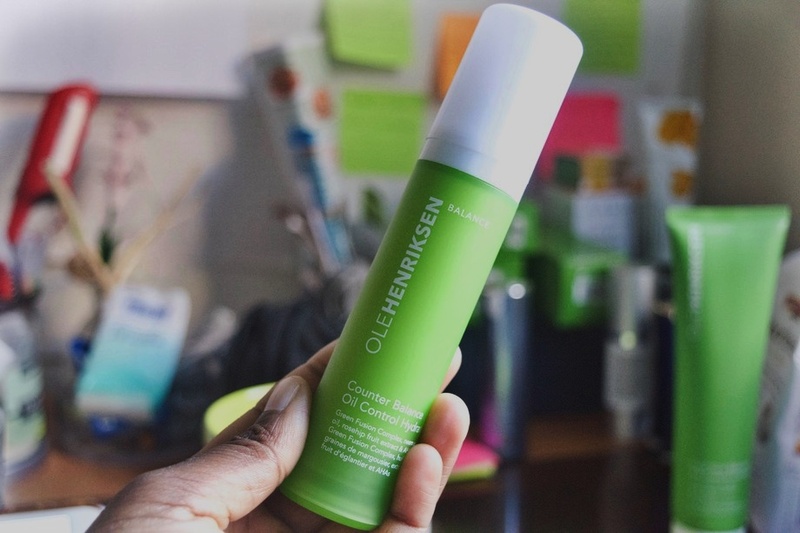 Green Fusion Complex is Ole Henriksen's proprietary blend of potent active botanicals; These botanicals include green tea, eucalyptus, algae (kelp), and Irish moss extract. This Is How I Use My 3-step Oil Control "Balance." This cleanser contains Green Fusion Complex, Neem Seed Oil, Glycolic and Lactic Acids. Active ingredients that help to clear your skin of excess oil, dead skin build up, and the pesky little acne bacterias that cause havoc. I love this face wash for oily skin. It is gentle; it has a smooth, silky texture and lathers up quite quickly. It has a minty fragrance and leaves your skin with a cooling sensation. It cleans your face without leaving it dry and patched. It purifies and deeply cleanses your pores. How I Use This Cleanser: I wet my face with warm water, I apply a dime size of the cleanser into my wet palms and create a lather. I gently massage the cleanser into my skin in a circular and upward motion; concentration most on my T-Zone (My chin, nose area, and forehead.) I rinse off with lukewarm water and follow with STEP 2. The toner is my favorite of the set. If you have oily skin, it is imperative to add a good toner to your skincare routine. Skin toners for oily skin help to balance your skin pH, remove excess buildup, shrink your pores, and works to reduce future breakout. The Oil Control Toner consist of Green Fusion Complex, Neem Seed Oil, Salicylic Acid and AHAs. Just like the cleanser, It has a minty fragrance and leaves your skin with a cooling sensation which I love. The toner helps to control oil and helps reduce the look of my pores. How I Use The Toner: I pour toner onto a cotton pad and swipe all over my face, concentrating on my T-ZONE. I follow up with STEP 3. The moisturizer consists of Green Fusion Complex, Neem Seed Oil, Rosehip Fruit Extract and AHA's. 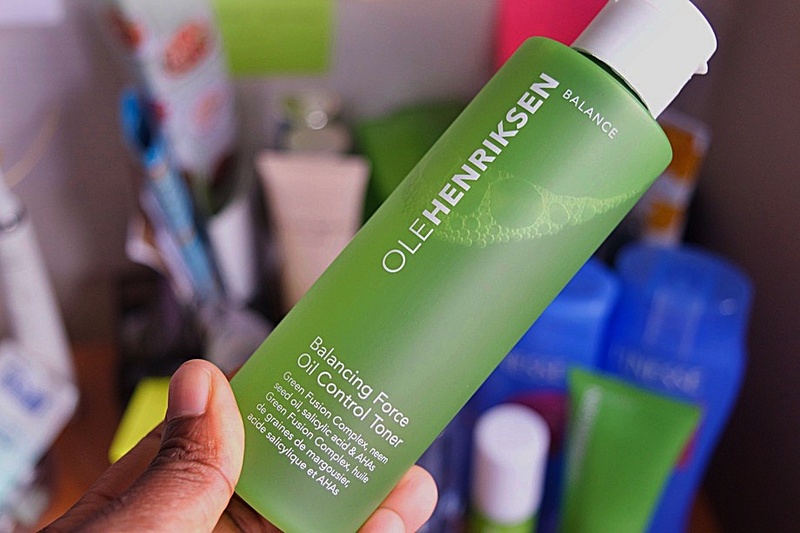 The Balance Oil Control Hydrator is lightweight, easily spreads on the skin, and dries instantly into a matte form. This moisturizer does not leave your skin feeling sticky or greasy. It is ultra-light, controls oil, and mattifies the skin. You can apply makeup right after you put on the moisturizer. It does improve the wear of makeup for up to 8 hours or longer. How I Use Moisturizer: I use two pumps and apply evenly on my skin; concentrating on my T-ZONE. I apply in a gentle circular and upward motion. My experience using the Oil Control 'Balance.' Skincare product is just fantastic. This product has been made to control oil and help keep the skin balanced, really, I can't explain it any clearer than that lol. It does what it says it's going to do; plain and simple lol. If you are looking for a good oily skin care product, you should give this set a try. ** This post is in collaboration with Influenster, all thoughts and opinions are my own. 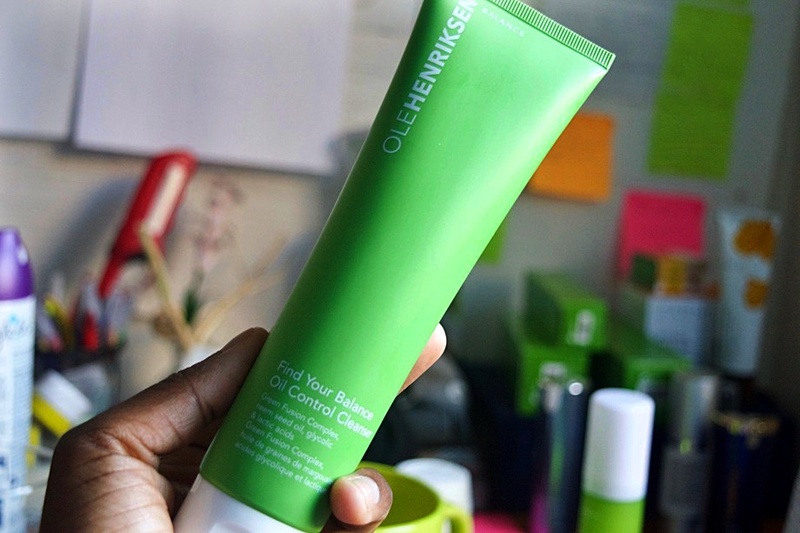 Have you used any products from Ole Henriksen? Aww! Yes, I will not try it for dry skin. It does work by drying out my acne. I love it. I am sure they have a set for Dry skin. You are welcome Kiran. Loving this set.. works well for my skin. Floortje, you will love it!